Will you be at our next event? Join us for author readings, children’s events, and more! We hope to see you at the library soon. Playgroup hosted by Whitingham Library is sponsored by EES Early Education Services and facilitated by Coordinator Sandy Stark. Edith Brigham is our "Song & Story" volunteer who leads the children in songs and finger plays and reads lots of fun stories. Crafts and snacks are provided. 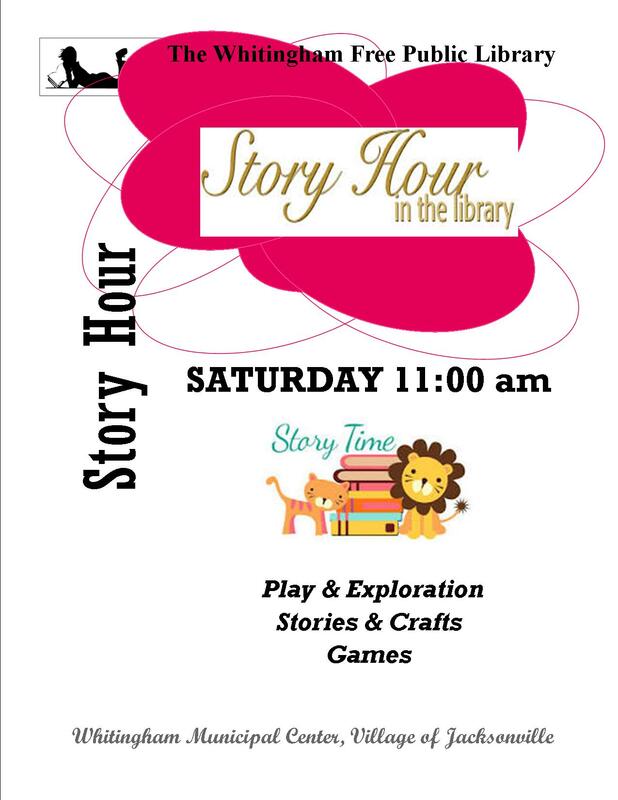 Join us every Satruday at 11:00 am for stories and crafts. and catch up with friends. with friends and neighbors at a low cost. For information please call 802-368-7506.